Does Your Property Have Foundation Problems? As a homeowner, it’s important to address any issues with your home’s foundation right away. Often, when foundation problems are left unchecked, a structure can experience foundation failure, in addition to other costly repairs. But, if you know the signs, you have a better chance of protecting yourself and your home from serious foundation damage. 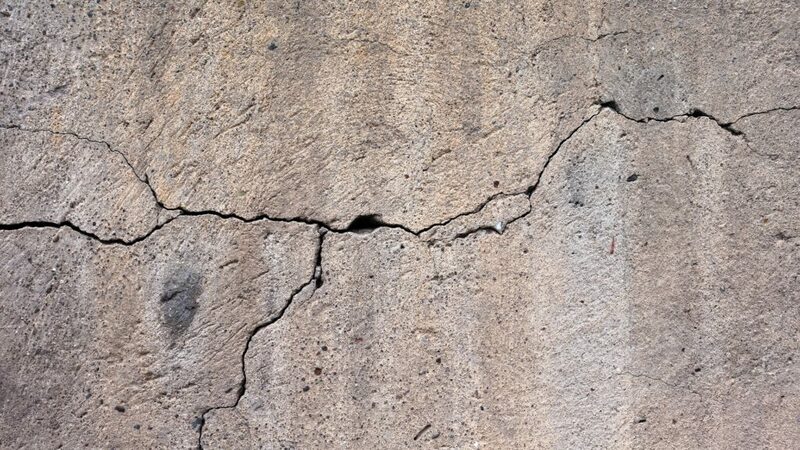 You can see cracked, crumbling or compromised areas of your home’s foundation: When inspecting your property for maintenance or repair, keep an eye out for any signs of structural damage. This can include hairline fractures or cracks (vertical, horizontal or zigzag lines) near or around entryways like doors and windows or in the walls and flooring, sloping floors or walls, breaks or gaps in your concrete or brick foundations and moisture damage (like water pockets and signs of mold). When inspecting your home for this type of damage, make sure you’re looking both inside and outside the property. You’ve noticed extensive water damage: Poor drainage can be extremely damaging to a home, and is the number one cause of structural failure. When the soil near or around the home becomes overly saturated it will expand. Then, when it dries, the soil contracts. This process can cause the soil to shift, which puts added pressure on the property’s foundation. Keep an eye out for areas that are abnormally wet (when there has been little wet weather) and areas that are overly dry (when there has been rain, or it has been watered). If you notice any signs of water damage, it’s important to have your home inspected by a foundation specialist as soon as possible. Your home has sloping floors or distorted ceilings: Even though the issue may lie in your home’s foundation, these problems can manifest in other areas of the property like the second story, the home’s ceilings and its walls. Using a level tool, you can check to see if the home’s flooring is even. If it looks like there are slopes, you should get your foundation professionally inspected. You’ve noticed cracks or buckling walls: Overtime, every home’s foundation will begin to show signs of settlement. But, when settlement becomes excessive, your home’s foundation is more likely to experience failure. You can avoid any serious damage by inspecting your home for cracks or shifting structures, crumbling and visible decay, and any water damage like moisture or mold. Make sure your checking all corners, pillars, joints, moldings and chimneys during your inspection. Your doors and windows stick or do not fit like they used to: When you notice issues in your entryways like doors and windows – whether it’s sticking or improper fit – you’re more likely to catch any foundation issues early, which will keep repair costs down. All doors and windows should fit snugly in place, not too loose or too tight. The best way to maintain the value of your home, and ensure that you and your loved ones are safe in the event of a large natural disaster like an earthquake, it’s important to be proactive about foundation repair.